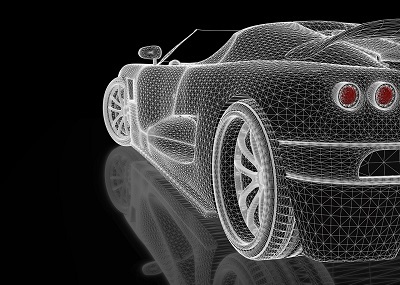 Automotive technology is changing rapidly. This makes it difficult to predict how advanced and different the automotive industry will be when 2038 rolls around. However, it’s possible to predict a few things about automotive customization based on the current trends at performance shops. 1. Extra power: The desire to have the fastest and most powerful car in town will remain. The need for speed will always keep performance shops in business. 2. Customization: Many people will still want to make their vehicle unique with custom modifications. Assuming that these consumer buying trends continue, it’s likely shops will still be busy selling products that are similar to what they sell today. In 2038, there will be some classic car enthusiasts driving cars made between the 1980s and the 2010s. Some of them will want to upgrade to the latest autonomous driving technology. Retrofits would be a great solution. Consumers will hire performance shops to install self-driving systems, 3D camera systems, and other modern technological innovations in their classic cars. This is pretty likely to happen. It’s only 2018, and we’re already seeing self-driving retrofit kits designed for existing cars. It’s not far-fetched to predict that auto body shops will offer their customers an interactive preview of something before they buy it. By 2038, augmented reality will likely be mainstream. There will be glasses available for people to add a layer of augmented reality on top of the real things they see through the glasses. For example, performance shops could show customers new paint colors, new wheels, radical body transformations, or one-of-a-kind custom upgrades through the glasses. This would be a great way for consumers to visualize their custom requests in “real time” before finalizing their decisions. Just like shops do engine swaps today, shops of the future will do electric motor swaps. Imagine somebody with the base model of a vehicle that has a worn out electric motor. Instead of replacing it with the same motor, they might choose to replace it with the motor from the performance version of their car. Also, there will probably be high performance aftermarket electric motors available. Consumers are likely to continue doing what they do today. Spending money on more power and on customization is likely to stick around. Performance shops will continue to offer traditional services and products. Technology will create new opportunities, such as autonomous driving system retrofits. And, augmented reality glasses will make it easier for customers to visualize customizations. There is a lot to look forward to!